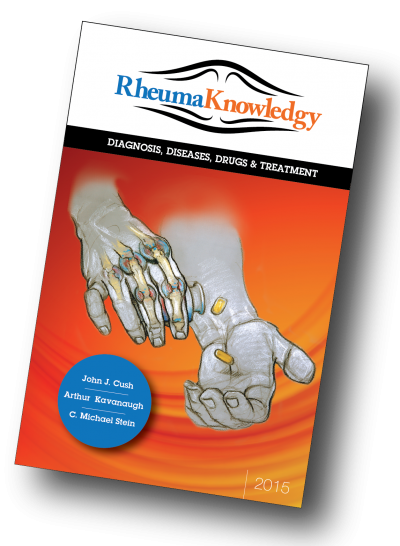 RheumaKnowledgy is the online source for rheumatology diagnostic and therapeutic information. Comprehensive information organized into three sections: Diagnosis, Diseases, and Drugs and Treatments. More than 300 entries written in a a concise, easy-to-scan format. Authored by three leading experts in rheumatology. Designed specifically for medical students, residents, fellows, nurse practitioners, physician assistants, internists, pediatricians, and any health care professional interested in staying current on rheumatology diagnoses, diseases and treatments. Updated as new information becomes available. Optimized for mobile access, and available as an app.